Call your best girlfriends, grab your prettiest stilettos, and meet us for a special Elle event--Ladies Night: Vidotional Edition--with hosts Adalis Shuttlesworth and Magalis Griffiths! This will not be your typical Ladies Night! We're throwing you a party complete with food, shopping, music, and party favors! Best of all, our hosts will be presenting the Word like only they can in their infamous Vidotional style with content created just for Elle! This event will be on Friday, May 18 from 7--9 p.m. at the Champion Center Washington campus. There is a $15 entry fee that can be paid in advance online or at the door. Adalis and Magalis will also be answering your questions for a LIVE Q&A session, so you can submit any questions you might want them to answer by filling out the form below! 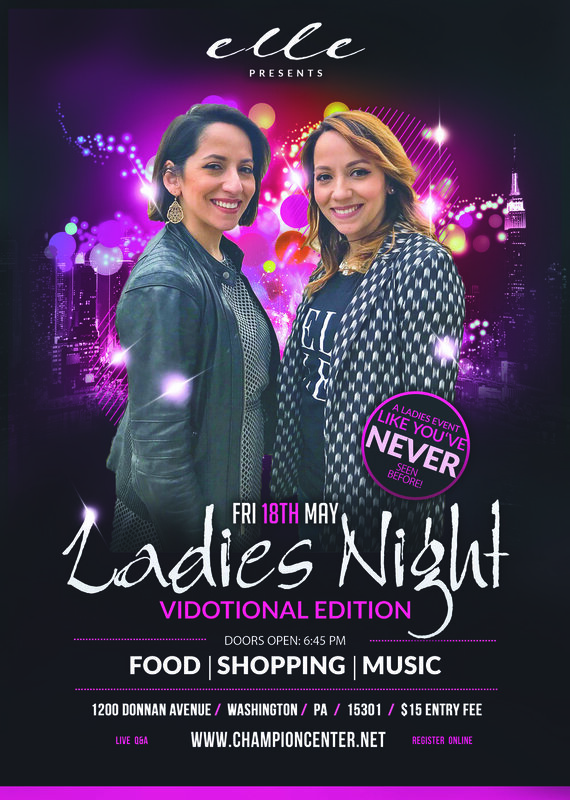 You can stay updated on all the details and information related to this event by following the Facebook event page created just for Ladies Night! Tickets will be $15 for the event. Yes. Great! No. Please click on the GIVE tab to process your payment. Do you have a question for Adalis and Magalis? They will receive a list of submitted questions from which they can choose to answer! Congratulations! You've just signed up to have the most fun Ladies Night ever! If you have any questions, please e-mail info@championcenter.net! We can't wait to see you on May 18! Please note, that the doors will not open until 6:45PM on the night of the event.